>Join Team Marine’s 6th Annual Ban the Bag March! 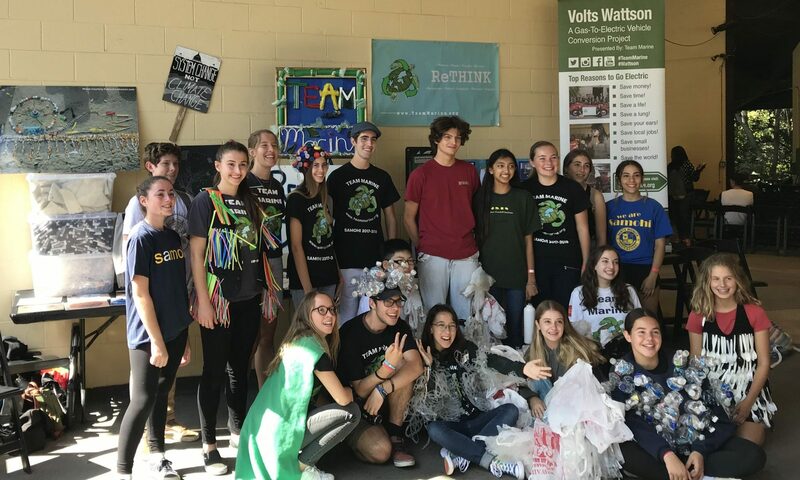 On Tuesday October 26, 2010, Team Marine and the Heal The Bay Surfrider Club students will stage their 6th friendly community march to raise awareness about the dangers of plastic bag pollution and the reusable bag solution. The Santa Monica City Council has been trying to bag the plastic bag for two years now! Unfortunately, they haven’t been able to without the risk of being sued by the plastic bag industry, due to the lack of an environmental impact report. The march will begin and end at Santa Monica High School and continue into downtown Santa Monica between 4-7pm. All are welcome to join! 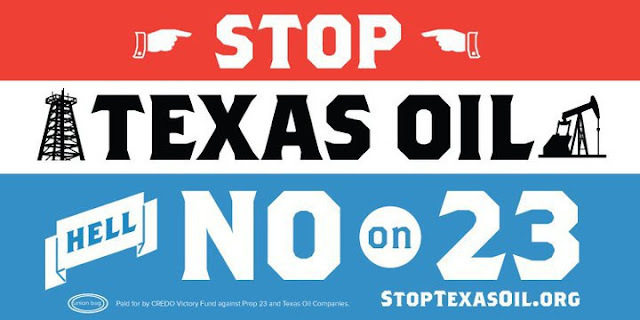 Team Marine members have done their research, and concluded that the team is opposed to Proposition 23. Prop. 23 aims to “temporarily” suspend Assembly Bill 32 until unemployment falls below 5.5% for four consecutive quarters. The unemployment rate is currently over 12%. AB 32, known as the CA Global Warming Solutions Act, requires the state of California to reduce annual emissions of greenhouse gases (ex. CH4 or CO2) to 1990 levels by 2020. The act has stimulated the massive growth of the green industry, where environmentally friendly jobs, products, and decisions are made. With the suspension of this bill, California’s green industry will suffer, and we will continue to think in the present rather than for the future. On November 2nd, 2010, please vote no on Proposition 23, a proposition funded in the millions by oil giants Tesoro and Valero, among others. Jerry Brown and Gavin Newsom held a political rally at UCLA’s Dickson Court on Friday October 25, 2010, which was attended by over 4,000 supporters. Team Marine member Aidan Nathanson was lucky enough to attend this event, after participating in a phone banking session. Team Marine is endorsing Jerry Brown for Governor and Gavin Newsom for Lt. Governor for their support of expanding green jobs and a green economy, as well as their opposition to Proposition 23. 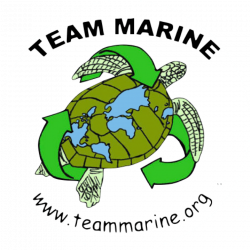 Team Marine will talk a little more about Prop. 23 and AB32 in a later post. 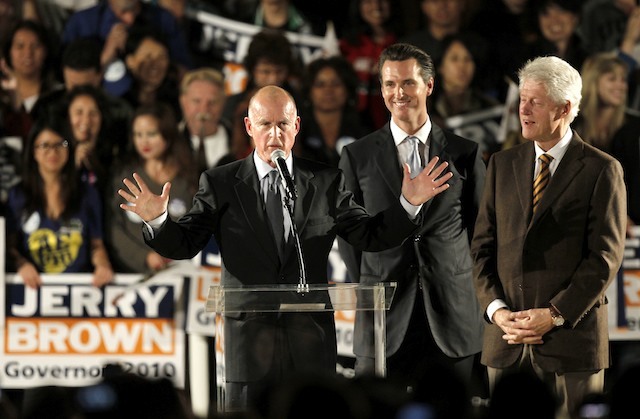 Brown and Newsom were accompanied by former President Bill Clinton, who supported their green efforts and choice to “consistently choose the future over the present”. On Wednesday October 13th 2010, Team Marine went to the KLOS studios to be interviewed by Cynthia Fox. The interview was pre-recorded and will be aired on Sunday October 17th on 95.5 KLOS between 6:30-7 AM. In addition to their radio spot, Kou, Jessica, and Michelle got a tour of the studio and met the executives of the radio station. The memorable occasion allowed the team members to learn the basics of how radio works. 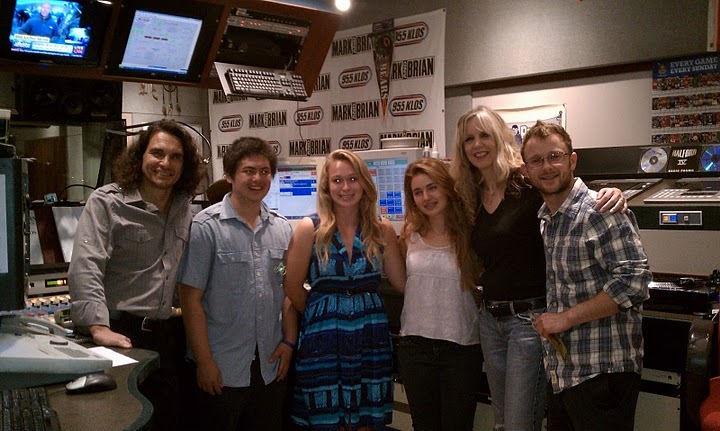 A giant thank you to Cynthia Fox and the KLOS team for inviting Team Marine be on the station. Team Marine was struck with great distress as news of the first flush came to our attention. For the first time since last winter, significant rains hit the Santa Monica area. The water (and trash) collected by the city’s storm drains broke the sand barrier at the Pico-Kenter storm drain and flowed into the ocean on October 5th-6th, 2010. 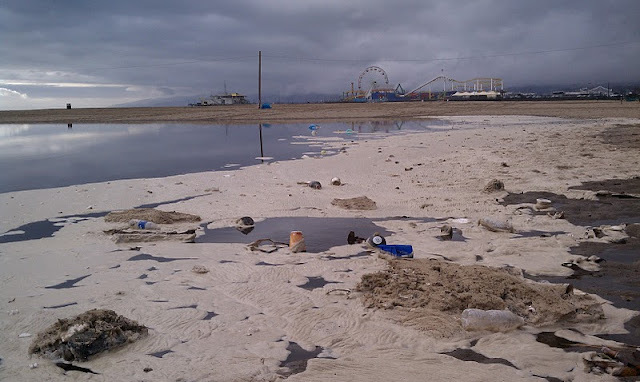 Team Marine had an emergency meeting, and immediately walked to the storm drain site to document and clean the beach. 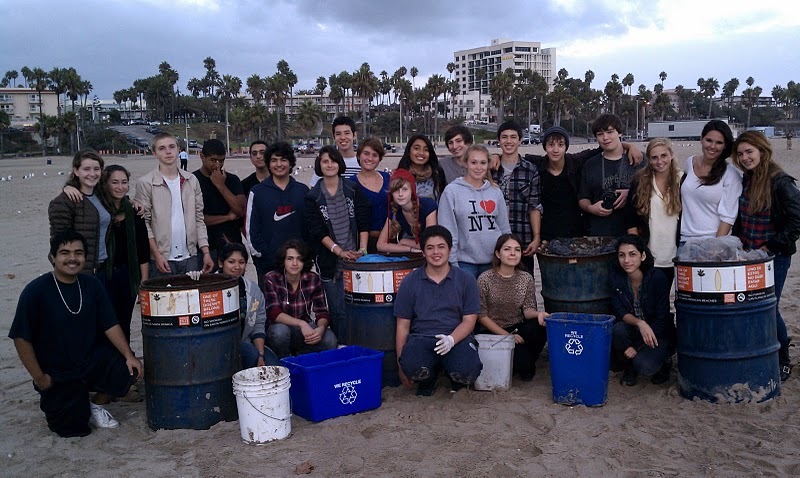 We picked up hundreds of pounds of trash in a short amount of time, but unfortunately thousands of pounds of trash still flowed into our Santa Monica Bay.